Looking forward to a great nights jumping this Friday for our Christmas League Final . 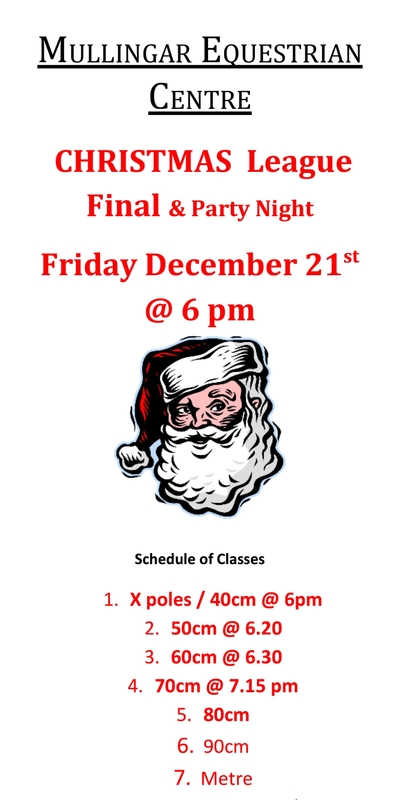 Everyone is welcome even if you did not manage to make any of the previous legs.Friday night is also our Christmas party night. Wishing you all A Very Happy Christmas & looking forward to seeing you all back for our 6 weeks of Sunday show jumping events starting on December 30th ..